Is Birth Control For Rats the Solution To Overpopulation of These Disease Carrying Pests? Could putting rats on ‘the pill’ offer NYC and NJ pest control professionals a safe, humane, and environmentally-friendly new way to put a stop to the area’s rodent infestation problems? 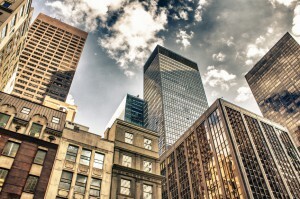 The Big Apple is currently working with a biotech company to put an end to their ongoing pest plague. 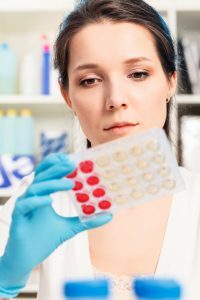 Biotech firm SenesTech has developed a substance called ContraPest, designed to hit the rodents where it hurts – putting an end to their inane ability to prolifically procreate. Human and pet-safe, the new technique is designed to tackle the root of the problem. The is fact that despite our large size and cranial capacity, humans are no match for a population of the estimated 2 million rats that call the New York area home. Just 4 breeding pairs and their offspring could create up to 15 million rats in a single year. With the new non-lethal, tasty bait, however, menopause is triggered early in females, in just weeks degrading ovarian function until no longer able to reproduce. In males, sperm production is likewise impaired. The chemical, 4-vinylcyclohexene diepoxide, becomes inactive after digestion and does not persist in droppings. NYC and NJ pest control trials began this year, following successful trials on farms and transit systems in Chicago and New York. Stay-tuned for further information on this product from the experts in pest control, Stern Environmental as it becomes increasingly available. Don’t Let Your Pet Catch This Disease from City Rats! One individual has just died from Leptospirosis in the Bronx. This is an infection that’s caused by coming into contact with rat urine. Considering the fact that there are so many rats in New York City, it’s understandable that many people are fearful. They’re not only concerned about themselves, they’re also concerned about their pets – specifically their dogs. For dog owners, NYC rodent control is an absolute must. There has been one unconfirmed canine death due to Leptospirosis in the Bronx. Veterinarians say that the condition is rare, and they usually only see a few cases a year. In this particular case, the dog was said to have received a vaccine for the infection, but still died from it. Dog rescue groups are urging dog owners to protect their dogs from this infection. Any dog that spends a lot of time outside should receive the vaccine. 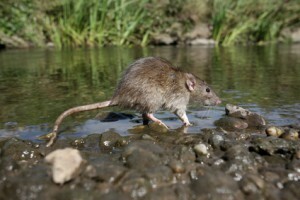 Rats often urinate in soil, in puddles, and even in lakes and ponds. Any of these can quickly become contaminated, making it easy for dogs to contract Leptospirosis. Once they have it, they can easily pass it on to their human owners. 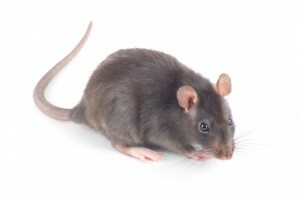 At Stern Environmental, we know the importance of NYC rodent control. Our goal is to protect you and your best friend as much as possible. If you have a rat problem, we can help. Contact us. Here’s some information that property owners may not be aware of: a rat’s ability to live in the massive root system of large trees. In Boston, rodentologist Bobby Corrigan shared his expert observation of just such an occurrence in a city park. At the base of old, mature trees within the park, a network of roots created the opportunity for rats to tunnel into holes and access a network of openings around the tree. Evidence showed that the rats used multiple openings for entry and exit routes as well as bringing in food sources and nesting material. It was estimated the “tree house” would hold up to a dozen rats. If your property has trees with massive above ground root systems, it’s recommended you hire a NYC rodent specialist to inspect the area. With proven systems, methods, and techniques, whether a single tree or multiple trees are affected, the extent of the root-based rat population can be determined and eliminated. Having a rat infestation in your home or business or anywhere on your property creates an unhealthy situation. 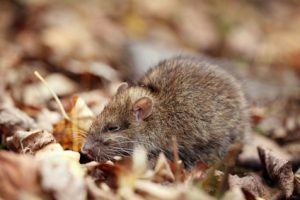 If you suspect there’s a problem, don’t allow the rat population to expand, which could result in rodents finding their way inside your home or business. For fast, efficient help with rodent removal, contact a NYC rodent specialist at Stern Environmental. Our experienced staff will suggest a plan of action to make your property rodent-free.